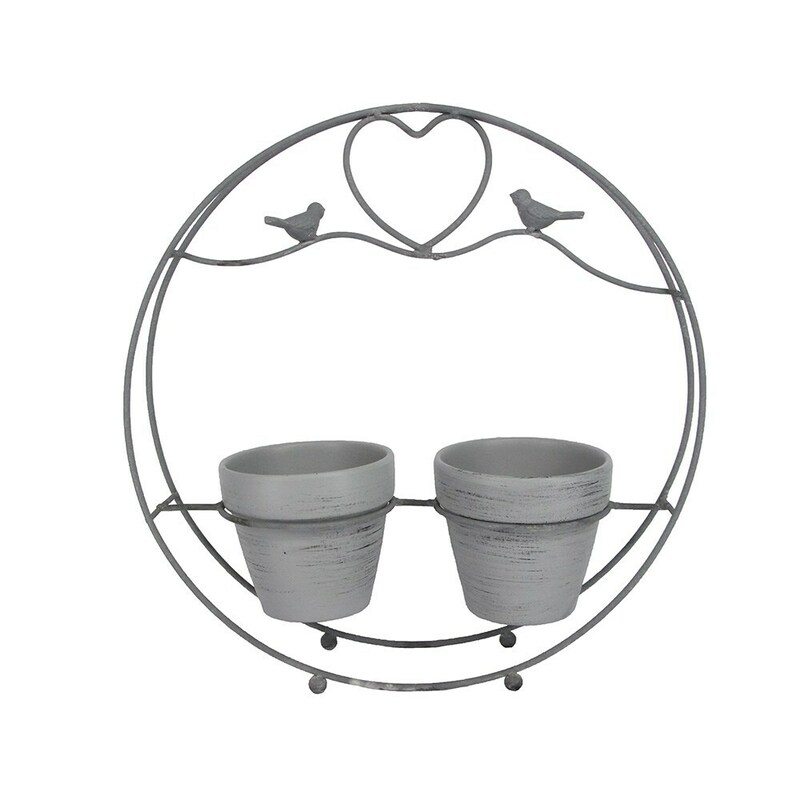 Give a special couple the gift of growing with this unique grey plant caddy. The round wire frame holds two small pots, ideal for favourite herbs, and comes embellished with a heart and pair of lovebirds. A perfect wedding or anniversary gift.